Notification with the passing of NEA Captain Francis A. Kowalski, near to his 95th birthday. Captain Kowalski is shown with a Northeast Airlines hire date of 08-10-1946, and he retired at the mandatory age 60 in 1978. Captain Kowalski was widowed one year ago with the death of his wife Alfreda ‘Freda’ Gilligan Kowalski. He had most recently resided at 42 Talbot Rd., Braintree, MA 02184-5526. 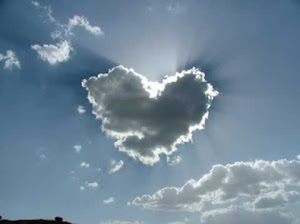 To view/sign the online guestbook please visit the funeral home website at http://www.keohane.com/ Services will be held August 9th in Massachusetts. Francis A. Kowalski, of Braintree, a retired airline pilot and veteran of World War II, died on Monday, August 5, 2013 at St. Joseph Manor in Brockton. He would have been 95 on August 17. A veteran of the U.S. Army Air Corps in World War II, Mr. Kowalski furthered his interest in aviation through a 32-year career as a pilot with Delta Airlines. An active man who played tennis until he was 90 years old, he enjoyed sports, particularly the Red Sox for which he held season tickets for many years. He also enjoyed many summers shared with family and friends at Popponesset on Cape Cod. He was the beloved husband of the late Alfreda (Gilligan) Kowalski to whom he was married for almost 69 years, the loving mother of Carl Kowalski and wife Carol of Whitman, Robert Kowalski and wife Debra of Willmantic, CT, Kathleen Baber and husband Richard of Glastonbury, CT, Mary Glickman and husband Stephen of Johns Island, SC, Patricia Romanello and husband Dan of West Stockbridge, Margaret Cerilli and husband John of Whitman, and Jeanne Kowalski of Los Angeles, CA, the devoted “Grampa” to Cristen Beard, Craig Kowalski, Elisabeth Martin, Julie Hoagland, Anna Cerilli and 8 great-grandchildren. Relatives and friends are respectfully invited to attend visiting hours Thursday 4-8 PM in the McDonald Keohane Funeral Home SOUTH WEYMOUTH 809 Main St. (Rt. 18 opp. So. Shore Hospital). Relatives and friends will gather in the funeral home on Friday at 8:00 prior to the Funeral Mass in Holy Ghost Church, Whitman at 9:00. Burial will follow in St. James Cemetery. In appreciation for their wonderful care, donations in Francis’ memory may be made to St. Joseph Manor, 215 Thatcher St., Brockton, MA 02302. 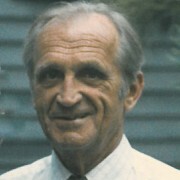 BRAINTREE - Alfreda (Gilligan) Kowalski, of Braintree, passed away Aug. 30, 2012 at the age of 92. Alfreda was a 53-year resident of Braintree. She enjoyed summering in Popponesset, Cape Cod with her wonderful group of family and friends. An avid Red Sox fan, Alfreda and her husband Francis were longtime season ticket holders at Red Sox spring training. This coming October, Alfreda and Francis would have celebrated 69 years of marriage. Over the past few years, Alfreda has been devoted to the care of her husband. Faith and family were the focus of her life. Beloved wife of Francis Kowalski. Loving mother of Carl Kowalski and wife Carol of Whitman, Robert Kowalski and wife Debra of Willmantic, CT, Kathleen Baber and husband Richard of Glastonbury, CT, Mary Glickman and husband Stephen of Johns Island, SC, Patricia Romanello and husband Dan of Stockbridge, Margaret Cerilli and husband John of Whitman, and Jeanne Kowalski of Los Angeles, CA. Sister of Robert Gilligan and wife Margie of Weymouth, Muriel Gilligan of Hingham, and the late Lawrence Gilligan. Devoted "Gramma Freda" to Cristen Beard, Craig Kowalski, Elizabeth Martin, Julie Hoagland, Anna Cerilli and 8 great-grandchildren.